With a rich heritage of more than 20 years, MJ Biopharm is a biopharmaceutical company that produces Medical formulations for combating a plethora of ailments. MJ Biopharm as a reliable name for life saving products in the category of Diabetes, Cardiovascular, NSAIDS and antibiotics. Over the years, MJ Biopharm’s core innovation and focus has been channelized in manufacturing of biosimilars & biopharmaceuticals formulations. Currently MJ Biopharm’s pharmaceutical formulations are accredited & sold in more than 30 countries globally. MJ Biopharms specialty is injectable lifesaving products including a range of pre and post-surgical medications, antibiotics and anti-inflammatory products. One of the Core product of MJ Biopharm is lifesaving human recombinant DNA insulin injection in various dosage forms like injectable cartridges, vials and disposable pen device. The market for pharmaceuticals for the combat and management of diabetes & its comorbidities is growing every day. Having been in the diabetes management industry for about 15 years with MJ Biopharm has developed the potential to take biotechnological research from concept to commercialization with setting up of a state of the art Biotech facility in Pune to manufacture Insulin drug substance. With this MJ Biopharm have created a unique microbial platform to provide flexibility to the research and development of medical formulations. We now leverage this platform in development of various other analogue insulin formulations that will reduce cost to the patients, by economical production of bio-similar products. MJ Biopharm’s export-based business strategy has been key to the growth of the company. Our global footprints are present in countries in the Asia Pacific, Africa, Eurasia & Latin America. MJ Biopharm have focused on a biotechnological research-based approach towards growth. We want to formulate medications that will improve healthcare. Our aim is to be a significant player in the biopharmaceutical market. We want to offer unique mid-term and long-term sustainable biopharmaceutical opportunities and be a one-stop source for biotechnological solutions for various ailment. We wish to have a global presence to benefit as many people as we can. We want to constantly increase our outreach by getting accredited by various medical governing bodies, thereby facilitating accessibility to our medications. We also aim at reducing cost of medications by constant innovation to benefit millions of people around the globe. Over the years, we have expanded our products roster to include various forms of medications. Our approach is to keep on improving our medications and at the same time we have embarked on a process to develop our range of Biotech products to establish ourselves firmly in the Biopharmaceutical market. MJ Biopharm has two manufacturing locations. Our Facility located in Taloja, near Mumbai, is WHO GMP Certified, state-of-the-art facility complying with PIC Standards. 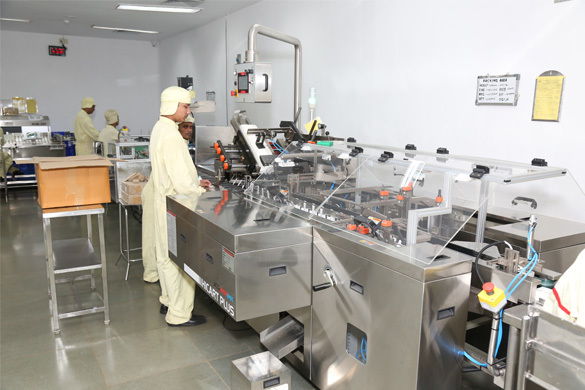 Spread over 3-acre campus, comprised of 3 separate buildings including dedicated setups for various product lines to avoid cross contamination the facility manufacturers a range of injectables in small volume ampoules, vials, cartridges and Pre-filled syringe, as well as general oral product tablets and capsules. We have fully automated hands-free manufacturing and inspection process to ensure quality of the product. The second and the newer facility is located in Pune, in Maharashtra industrial development corporation (MIDC) biotech park zone, Hinjewadi, Pune. This modern Biotech facilty is located on the total plot area about 40,000 sq.mts with a built-up area of 15,000 sq.mts. 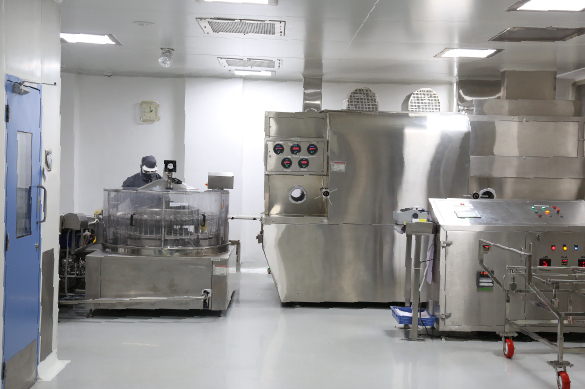 The facility is built according to the standards set by European Medicines Evaluation Agency (EMEA) and US FDA. 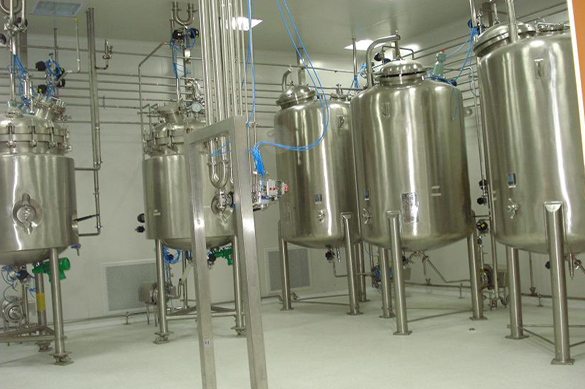 Facility is equipped for microbial products with fermentation section (inoculum area, fermentation and recovery area) and matching downstream section (buffer preparation area, initial purification and final purification area). The manufacturing facility is completely automated and driven by PLC based system whereas the clean rooms are controlled by a Building management system (BMS). MJ Biopharm employ over 350 trained personnel, who understand the importance of quality & strictly follow standard operating procedure. Cold chain is maintained throughout the supply chain, in order to ensure delivery of quality products to end-customer. The manufacturing capacity of the facility is upgraded every 5-7 years to ensure that we comply with current good manufacturing practices at all times. MJ Biopharm boasts of R & D has expertise to transfer molecule from preclinical development to Phase III clinical followed by ultimate goal of regulatory approval. MJ Biopharm has a competent team having hands on experience ranging from development of small molecules to advanced biological formulations, across the complete array of dosage forms and a wide range of therapeutic categories. This expertise has resulted into MJ Biopharm developing stable and biosimilar formulations of synthetic peptides and r-DNA peptides. With the advent of diabetes management, MJ Biopharm is also keeping pace with industry by working on new generation anti – diabetic like DPP-4 inhibitors and GLP – 1. We, along with our global partners are working on drug delivery system that will extend the therapeutic action of GLP-1 from 12 hours to 1 week. MJ Biopharm’s R & D team is capable to cater to in-house development projects and also execute development services. We understand that developing product is very crucial with many unpredictable challenges/obstacles. 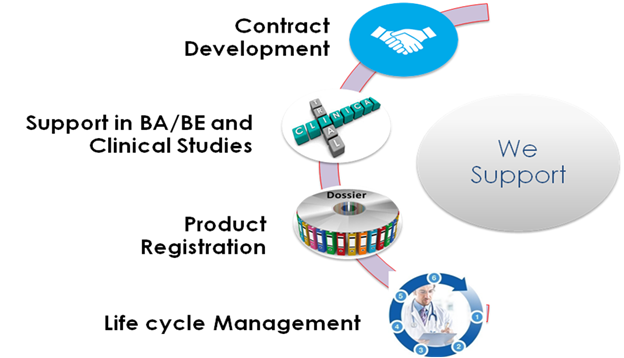 We are reliable development partner during entire drug product development process- starting from idea generation – Execution – regulatory approval. Bacterial based Biotech process competency for development of life saving Biotech products. Formulation Development as per US/EU/Indian Pharmacopeia with Quality by Design approach and Technology transfer.